Two churches were destroyed in two separate incidents earlier this month in Sudan, local sources told World Watch Monitor. 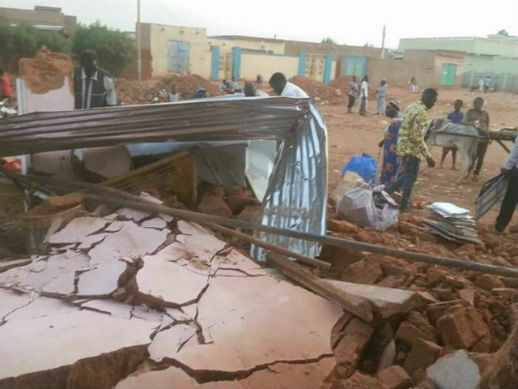 On Oct 22, authorities demolished the Evangelical Lutheran Church of Sudan (LCS) in Omdurman, citing re-development reasons, after first giving the church only 72 hours’ notice. Word about the impending action was spread on Facebook by at least one church member. 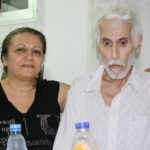 For over three decades, the church had been located at Hai Thura Block 29 in the Karari area of Omdurman, a city directly across the Nile from Sudan’s capital of Khartoum. Separately, another Lutheran church building was burned down on October 17 in Gadaref, East Sudan, reported Christian Solidarity Worldwide. The building was completely destroyed, including the furniture and Bibles inside. The apparent case of arson was reported to the police. 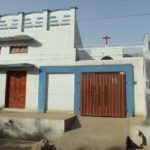 On Oct. 21 at 15:30 Sudanese local time, the church in Omdurman, which seats 150 worshippers, received its last warning of pending demolition from the Karari local authorities. According to local sources, young men set fire to the building before officials ordered bulldozers to tear down the rest of it. The local authorities claimed the church was built on land allocated for a proposed marketplace. However, church members noted that a nearby mosque on the same land was not destroyed. “Destroying the church building made us feel we have lost everything,” a local leader in the Lutheran church said. “Chairs, seats, etc., have also been taken by the local authorities,” he added. In 2011, Sudan President Omar al Bashir declared that after the independence of South Sudan, the North would be entirely Arabic and Islamic. In April 2013, the Sudanese minister of religious affairs announced that no licenses would be granted to allow for building new churches. This means the congregants, now displaced by the state’s demolition or by arson, cannot hope to have a replacement. Bishop Yagoub Boutros, a pastor of the Evangelical Lutheran Church in Sudan claimed the plan to target churches in Sudan has become a general issue. 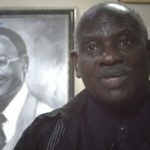 In an interview from Khartoum with Radio Tamazuj, a broadcaster covering South Sudan and the southern states of North Sudan, Yagoub noted that the Lutheran Church is not the first church that has been demolished. He accused the authorities of showing no respect for religious rites. 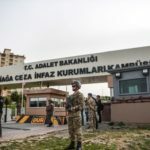 “The authorities’ claim that there is co-existence between religions is just for political consumption, but in fact there is no religious coexistence,” he said. Sudan lost the majority of its Christian population when the South became independent in July 2011, following an overwhelming vote in favour of secession from the predominantly Arab and Muslim North. Not surprisingly, the Christians left in the North have been finding life in the Islamic nation less than easy. 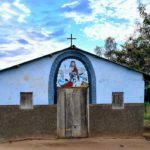 The most recent attack began on Oct 17, when the authorities in Omdurman warned the church of its impending demolition. “On the following day, they came to demolish the church,” a source on the ground told World Watch Monitor on condition of anonymity. People from the church petitioned the authorities for more time so as to be able to trace where the orders could have emanated from within the government. “They went to the state department concerned with issues relating to churches. They asked them who was behind the demolition order, but everyone said they didn’t know” the source added. On Monday 19th, things took a more dramatic turn as men, presumably government agents, came to demolish the church. “Others entered in to the church building to say they were not coming to destroy the church with us inside” the source said. “They were there until the evening, and they returned at night after people went to their homes”. “The government came back and demolished the church at night,” they maintained. Other sources spoke of assurances about the church being left intact, only to be reneged on later. “People are now without church. They don’t know where to go to attend their services,” the source maintained, noting that the building was subject to arson attempts twice before by “unknown people”. “Emotionally people are very sad for their church. They don’t know if they can now find a place to worship,” the source concluded. It is not the first time churches become subject to demolitions in Sudan in modern times. On July 1, 2014 government officials destroyed a 600-worshipper Sudanese Church of Christ (SCC) in north Khartoum. At the time, the government said it wanted the land for low-cost housing. Police had earlier destroyed another 300-member SCC church close to Khartoum, on February 17th of the same year. The authorities said they were destroying the church because it stood in a Muslim area. In April 2012, amid a brief territorial war between Sudan and South Sudan, a mob of Islamist extremists attacked and destroyed a church west of Khartoum despite a police cordon in place. The 2015 report by the US Commission on International Religious Freedom on Sudan highlighted the abuses that it states were a result of President Bashir’s policies of Islamization and Arabization. “The government of Sudan, led by President Omar Hassan al-Bashir, continues to engage in systematic, ongoing, and egregious violations of freedom of religion or belief” the report said. The report also referred to violence in Southern Kordofan, Blue Nile, and Darfur. According to the World Watch List 2015 (an annual ranking compiled by Open Doors, which works with Christians under pressure worldwide), Sudan is currently the 6th most difficult country in which to be a Christian, out of a ranking of 50.